After a long and stressful day the best thing to do is get a good night sleep and to be honest, it is something which we all love. 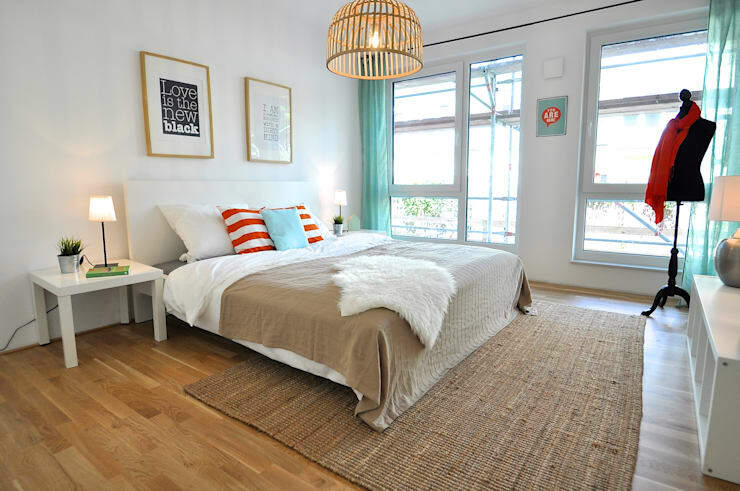 Having a bedroom that is nicely furnished is an important aspect while you are looking to relax. After all, a bedroom is used for much more than just sleeping including getting dressed, watching TV, and even spending time with our partner. In short, a bedroom should always look chic and inviting. But most of the times it is tough to design a room which has both of these qualities. So we have created an ideabook using 15 of the most popular bedroom design features that can inspire you. Opting for a headboard that creates a statement can add a unique touch to your bedroom. Vintage furniture is another great option when you are looking to make your bedroom more comfortable and cozy. Light fixtures play a significant role in every room and bedrooms are no exception. This beautiful chandelier helps pull together the entire look of the room. The best way to make a space look beautiful and bright at the same time is by adding picture windows similar to this design. 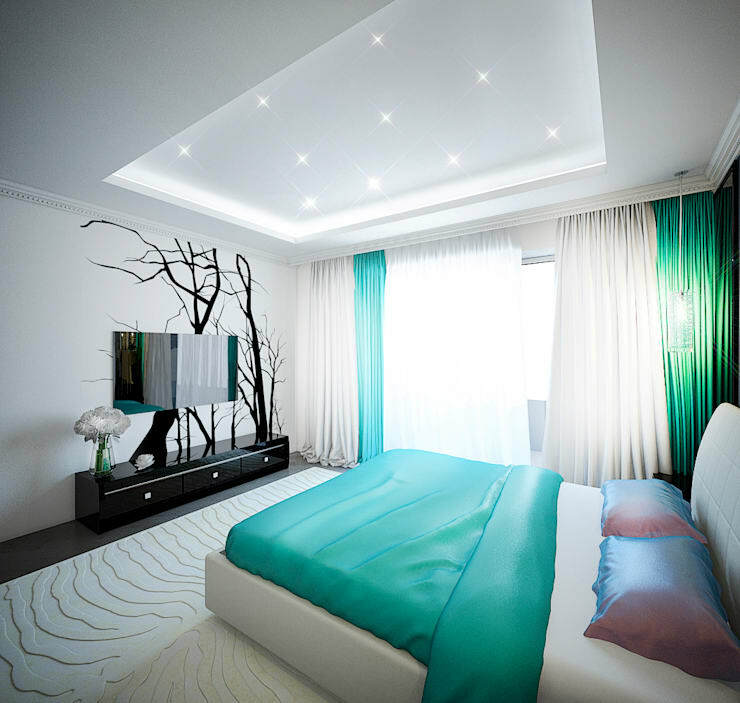 In case you want your bedroom to stand out then adding a false ceiling with customised LED lighting is also worth a shot. Adding wall art to your room will also help uplift the vibe of the space. These can include anything from paintings to a creative light fixture. 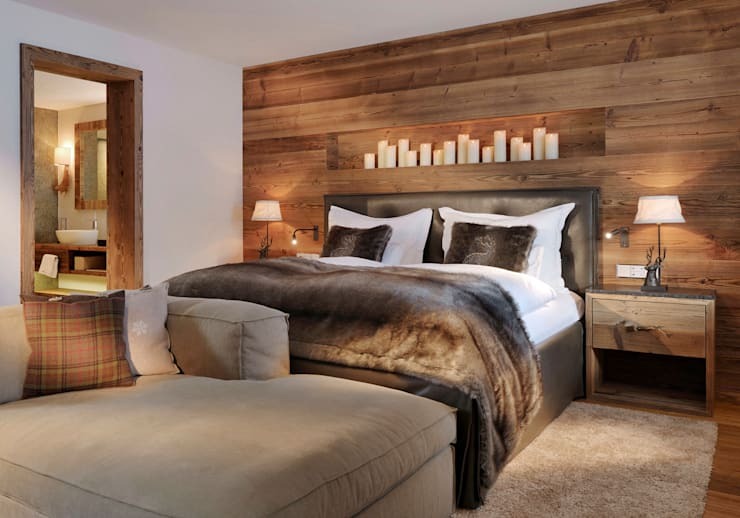 Wooden furniture is the best option when you are looking to create a relaxing ambiance for your bedroom. 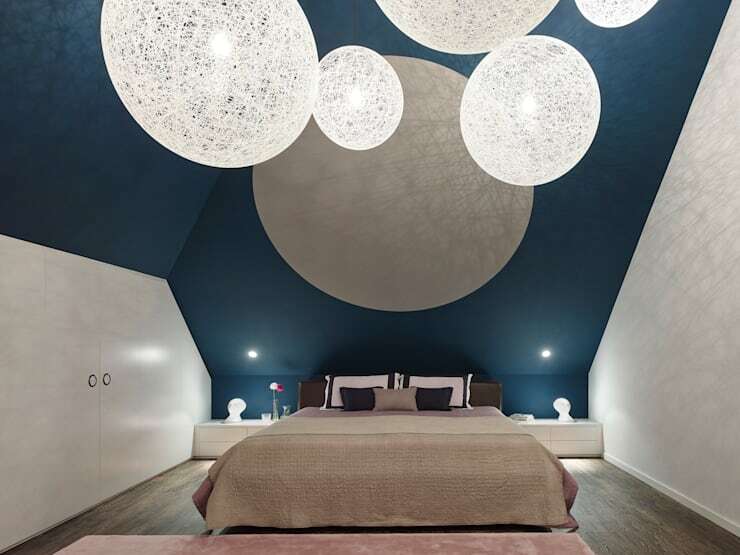 Experimenting with your light fixtures can also give your room a new dimension. Incorporating your bath into the bedroom design can be an easy way of making the space look beautiful. The designer has opted for a transparent glass wall to achieve the desired results. 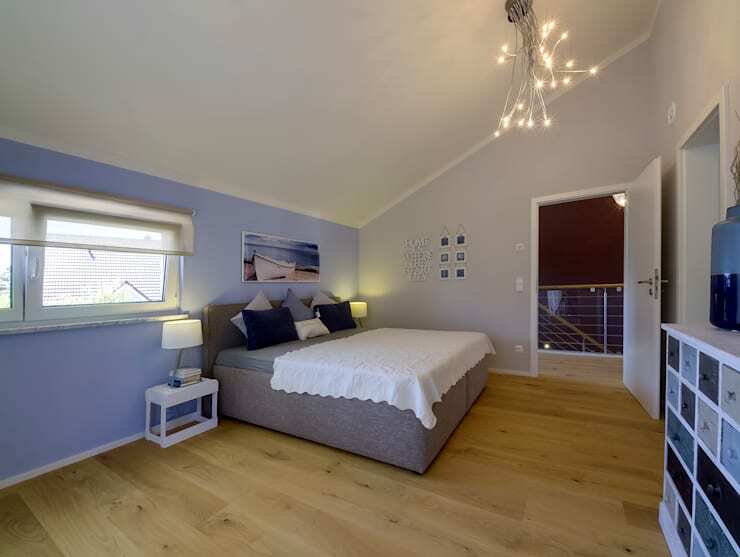 By placing your bed directly under the sloping roof, you can create a loft style bedroom instantly. Painting your walls with cool tones of colour like blue or lilac can also help make the room look brighter and spacious at the same time. 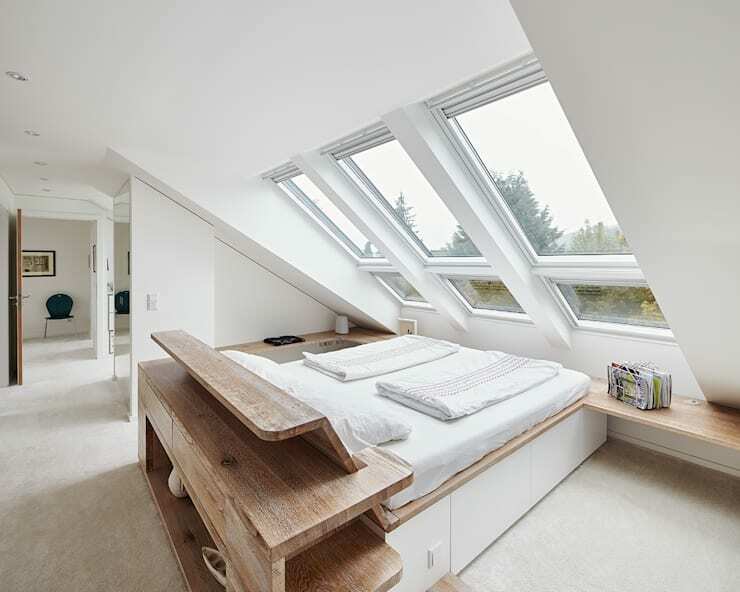 Another great idea for an attic style bedroom is installing skylight windows. It will not only bring in more natural light into the room but will also allow you to enjoy the outdoor view. 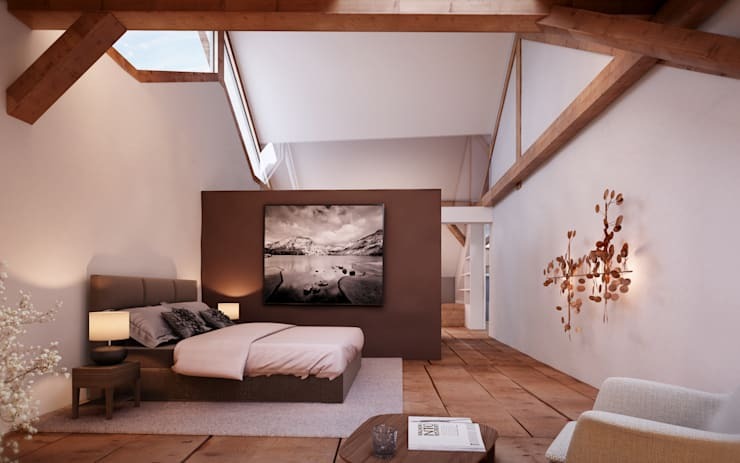 Creating a similar looking natural wall in your bedroom will give the space a warm and rustic touch. Decorating your room with creative looking accessories like the light fixture and potted plant, in this case, can give you a fabulous layout. For those of you who love barn style houses using wooden beams and natural wood furniture within the room is highly recommended. 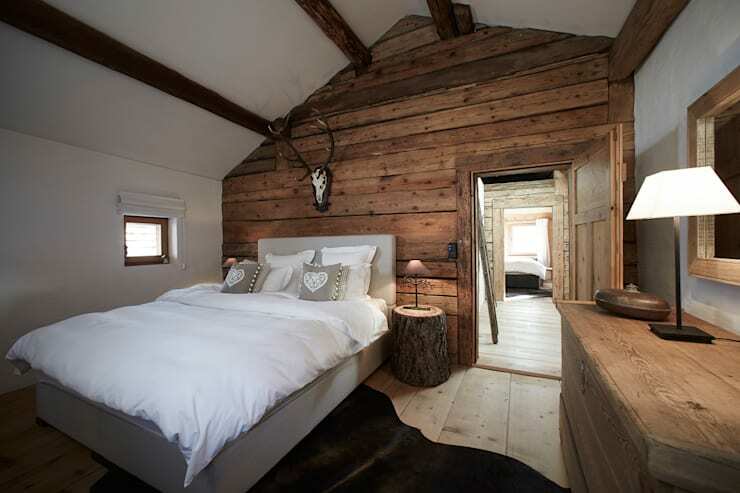 Which one of these bedrooms is your favourite?